Don’t Be a Turkey: Check Out Our Freebies PLUS Win a Cookbook! I get a lot of books. Every week, boxes of books arrive, and the vast majority of them include wonderful, colorful, exciting picture books and activity books designed for use in the classroom. But every once in a while something else slips into a box. 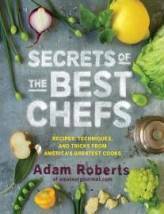 So imagine my surprise when I found Secrets of the Best Chefs: Recipes, Techniques, and Tricks From America’s Greatest Cooks from Artisan Publishing nestled among some fun new children’s picture books. Hmmm, I think this was meant to be. There’s no better time than Thanksgiving to give away a cookbook! Do your students understand how their food gets from the farm to their fork? Enter Professor Eatwell’s Great Giveaway, and you could WIN a $2,500 grant to teach students about convenient and healthful food choices and modern food production! Plus three first-prize winners each receive a $1,000 grant and three runners-up each win a $500 grant. Plus you can download dozens of free activities to teach students about farms, farm equipment, and everything that goes into feeding our growing world. Enter now at www.themailbox.com/alliancetofeedthefuture. Special Olympics offers dozens of free resources for use in general education classrooms. You’ll find classroom-ready activities, online games, movie clips, and much more, all to help you teach your students critical lessons about respect, acceptance, and fairness. Find out more about the amazing resources available! Visit www.specialolympics.org/project_unify.aspx! Kids love animals! Sign up for the Animal Ambassador program from the International Fund for Animal Welfare, and you’ll receive free lessons each month about a different featured animal. Plus one lucky teacher will win a $1,000 Visa gift card, and others will each win a $100 Amazon gift card. Get the details and start accessing free activities right away! It’s all at www.themailbox.com/ifaw. Sign up now! Go ahead and submit your blog comment to be entered into this week’s fun drawing. Good luck and happy cooking! Secrets of the Best Chef sounds like a great prize. I would love to learn to make great pasta from scratch. Who doesn’t enjoy looking through a great cookbook? I, for one, would love to win this prize!!! I love Professor Eatwell’s Great Giveaway. Secrets of the Best Chef would be a great addition to my cookbook collection. I would love to learn how to make crepes easily and quickly. Professor Eatwell sounds great. I would dearly love to have some new recipes for chicken. I like the Professor Eatwell’s Great Giveaway and I would love to learn to cook a souffle. I can do just about anything else, except make rolls. 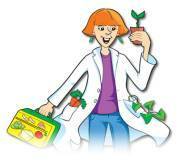 Our after-school program could use the Professor Eatwell’s Great Giveaway $2,500 grant. My favorite is the Animal Ambassador Program. I think my kids would love being a part of this program and I would enjoy it as well. As far as cooking – I’ve always wanted to make creme brulee – YUM!!! I love the animal ambassador. We are learning about animals. My class loves animals. 90 percent of what they read is animal related. My classroom could certainly use the grant.